This photo was taken just off the Mt. Rose Scenic Drive, on the little side road that leads to Winters Creek Lodge of the Mt. Rose Ski Area. A sign along the Mt. Rose Highway points the way, and is called "Mt. Rose Slide Bowl." 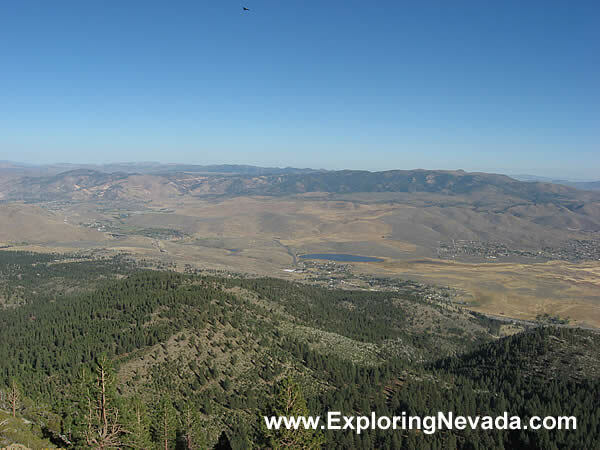 The photo looks down on the Washoe Valley of Nevada.